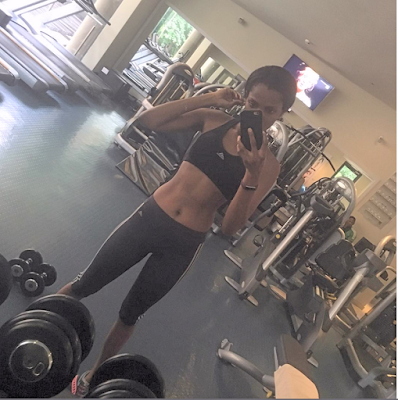 Former Miss World Agbani Darego flaunts toned tum abs! Ohh my! hasnt it been about 15 years Agbani won miss world?! she's not really changed at all and those Abs! My my! she obviously puts the work in at the Gym as evident in the background of the pic. Fans are however worried she may be getting a bit skinny but well I guess its the profession.you gotta keep it slim and trim in modelling I think..